This week on Other Boggers Family Lives I am featuring Lauren who blogs at The Helpful Hiker. 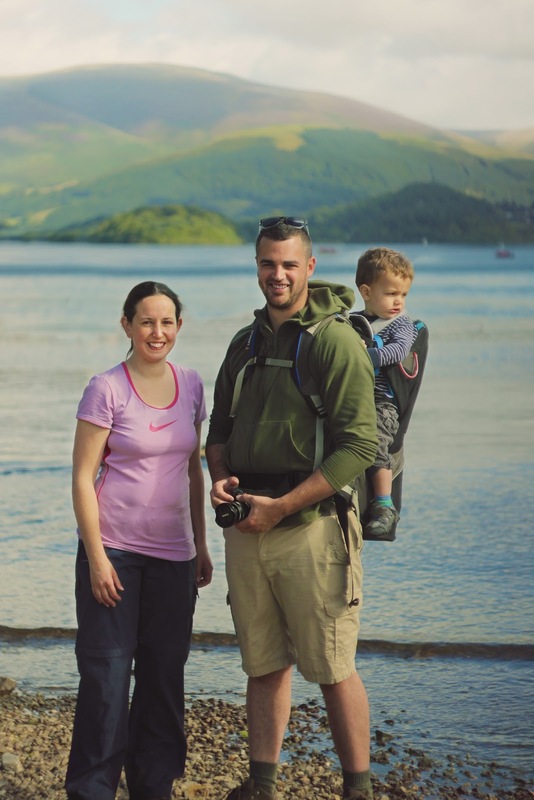 Lauren blogs about the great outdoors, walks, camping and family days out feature regularly on her blog. So let's find out more about the family behind The Helpful Hiker. I live with my husband Luke and three-year-old son Finn, who both feature in my blog quite a lot. I'm also currently expecting our second baby due at the beginning of August. We live in a Victorian terrace in the centre of Northampton. I love living here, we can walk to the shops, pubs and restaurants but there is also great parks on our doorstep. Plus, the big attraction of living in the Midlands is that it's not too far from anywhere! It might seem strange for an outdoor blogger to live in a town, but we have some great green spaces right on our doorstep. It's also not a massive town, so it's only a few minutes to drive to the countryside. We love going for walks, exploring country parks and looking for quirky places to visit. I'm happy right where we are. In fact, we're in the process of moving and it looks likely that we'll stay in the same area. Maybe when we're retired I might be tempted to move somewhere a little more scenic, like the Peak District. But I love the convenience of having everything on my doorstep at the moment. I grew up in a village not far from Northampton and had quite an idyllic childhood in many ways. I went to the village school and have fond memories of maypole dancing and playing out with friends all the time. I thought I'd always be a country girl, but after moving to Hull to go to uni I fell in love with urban life. I moved around a bit with work, but ended up settling in Northampton a few years ago and enjoy being somewhere familiar where I have roots. This year is taken up with moving house and the new baby. I'm hoping that we'll manage a few adventures in between the chaos. I'd like to visit my parents in France and also a trip to Wales may be on the cards to do some coastal walking. Our family life is busy and the best of times, but at the moment it's just madness! I work long hours in my day job so it's a real balancing act. I love how me and Luke have managed to forge a really effective partnership where we both have to support and help each other to get things done. It can be stressful, but we largely work together. I used to beat myself up, but now I'm really proud of my family and everything we've achieved, despite the pressures on us. I'd love to retire somewhere more scenic too...we often talk about where that could be. The Peak District sounds like a good option! I really relate to what Lauren says about being living in a town but being an outdoor blogger. We spend so much time outdoors, you’d never think we lived in a city! Oh your not too far away from me. I live in Bedfordshire and love where I live as like u its so convenient having everything on the doorstep. Great interview. It was nice reading about Lauren. I hope she visits France. It is a lovely place. Always nice hearing about other people. congratulations to her for her second baby! That must be so exciting! I love this series, its really interesting! I've come across this blog recently, so it's great learning more about the people behind it! It sounds like an exciting year with a house move and a new baby! I enjoy getting to know other blogger in these kind of posts. Sounds like you've got a busy year this year! Love learning more about bloggers lives!